A quarterly devotional series co-sponsored by Workforce Ministries and Blackaby Ministries International. 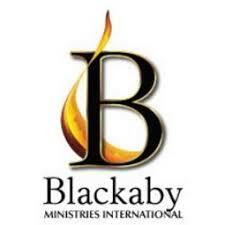 Quarterly conference calls are an opportunity to join a community of believers to hear an opening devotional from Dr. Richard Blackaby, President of Blackaby Ministries International, submit prayer requests, and any questions you might have around faith in the workplace. The quarterly Devotional Series will take place on the second Wednesday of every quarter -- in January, April, July, and October, from 7:30AM to 8:15AM Eastern Time (US & Canada). The free conference call-in number is 605-313-5086 and the access code is 770058#. Having prayer requests and workplace questions submitted in advance will allow us to keep to our schedule, while still getting to the most urgent request/topics. We will strive to have an exchange that would benefit all participants. To submit your prayer requests or workplace questions please send an email to: karl@workforceministries.com. Material discussed during our call may include legal information, but is NOT legal advice, and cannot be relied on as legal advice. We endeavor to keep our information and comments current, but laws, regulations, and court decisions are always changing, and they may be different in your jurisdiction. If you have a question or concern that involves a legal matter, you should always consult your own legal counsel familiar with the laws in your own jurisdiction.